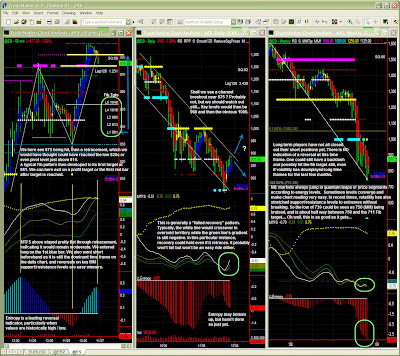 Market Snapshot: How do I read charts ? How do I read charts ? No report today. The market behaved as expected yesterday with a bit of shopping spree, maybe indicating the worst is definitely over. We will review that in detail in the weekly report. Today, I decided to instead just post a commented ES chart for those a little more interested in the technique itself.